The aim of the book is to help the starting scientist to reduce the time spent on writing research proposals, while improving their quality, thus the success rate. 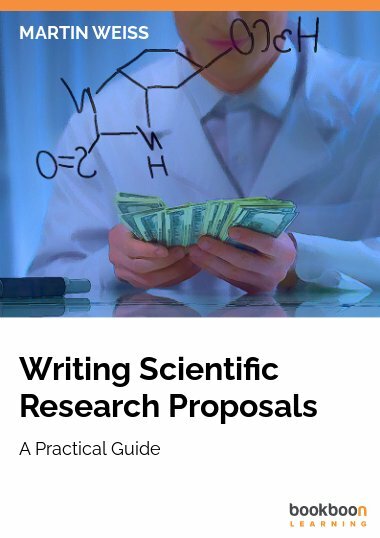 Writing good research proposals is an essential skill for the young and for the veteran scientist. The aim of the book is to help reduce the time spent on writing research proposals, while improving their quality, thus the success rate. It offers practical advice, tips and recommendations, but, first of all, it helps to organize the thought process around each of the elements that constitute the proposal. This is done by indicating the role that each element of the proposal needs to fulfill and which questions in needs to answer in order to be convincing and effective. The book is written based on the experience of the author with writing many research proposals for contract research both within and outside academia, but also, most importantly, on his experience as a reviewer for a European research financing institution. It is this latter point of view that should benefit most to the reader, as it benefitted the author. The book should be helpful to a large variety of starting scientists, from students that submit a research plan for a graduate project, to young scientists submitting their first proposals to research funding institutions. Martin Weiss graduated in Electrical Engineering (specialized in Automatic Control) at the Bucharest Institute of Technology in Bucharest, Romania in 1990 and received a Ph.D. in Applied Mathematics at the University of Groningen, The Netherlands in 1994. He works currently as a senior research scientist and lecturer at the Aerospace Engineering Faculty of the Israel Institute of Technology, Israel, Haifa. This book is based on his experience gained as a research scientist both outside and inside the academia, and also on his experience as a reviewer for a European scientific research program. The dual perspective, from both sides of the fence, will hopefully make this book most useful for the young scientist looking for a future successful career.